MoneyTec › Forums › Beginners Forum › Is Forex trading really a worthy investment? This topic contains 6 replies, has 6 voices, and was last updated by FXGuru 4 months, 3 weeks ago. I know this is a question that lingers in the mind of every investor; be it a real estate investor or a financial investor like you and me, investors in Forex trading. Whenever I invest my money, I normally make sure that I am certain of the kind of investment I am venturing into. I believe the only way that one can know about the investment they want to venture into, is through research and learning about it. Failure to do that will make the investor a gambler. And I think this applies 100% in Forex trading. 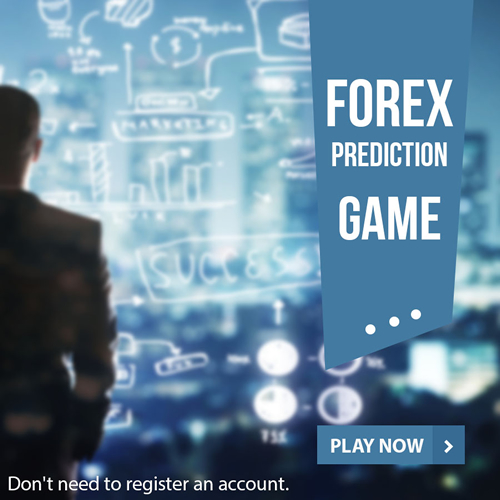 Forex trading can turn to be a game changer in your finances and at the same time, it may turn to be your worst nightmare when it comes to finances. In short, what I mean is that, if you take your time to first learn all about Forex trading before and even after investing your money, you will surely become a successful trader. However, if you get into Forex trading due to greed, peer pressure or other motives without taking your time to learn, you will end up regretting why you even ever knew Forex trading existed due to the rate at which you will be losing money. Therefore, I would say, Forex trading is a worthy investment to those who are serious about it. Yeah, I believe it is a certainly worthy thing to put time and money into. The greatest advantage of being a trader is that we have our own schedule and way. I feel really comfortable with all these things, as it gives me chance to do something else and even then, I am able to do trading which makes me feel absolutely comfortable! If you got the skills and right strategy then it is certainly a fantastic investment for all to make. But if you are not having sufficient knowledge or ability then it is fairly obvious that you are not going to go anywhere in safety zone. So, it is very crucial to have knowledge which to me is the ONLY way to reduce the risk and make it a worthy investment. Forex can make you a superstar overnight, but it can drop you below even thinkable levels. It is all in our hands whether we are able to take our self far or not. If we are able to manage our self well, then Forex is the greatest place for investors and can bring serious returns for us. However, if a newbie starts doing it without much idea or strategy then it’s not going to work out well at all! I think there is little to talk worthiness of Forex. It is arguably the BIGGEST online and offline business out there. So, it is irrelevant whether we make profits or loss, it will remain the greatest business. As per individual, I think the hard working person will always like it because there is so much to take from it if we do it accurately. I will not mind taking some risk when the chances of gains are so on high. Alex, that is true it is a truly amazing business to put hands on, but you got to be ready and good enough, it is in order to ensure that you come out trump. If we are not good enough then we will only end up losing. The common theory is that IF I am not good enough then the thing is just not good enough, I absolutely stand against it! I don’t think it is a good thing at all. I think it’s a pretty childish question, as there is just no question about this. Forex is absolutely worthy investment, and arguably the BEST one online. It is so much easier for me with FreshForex, who are always amazing in supporting me. They have one of the best structure that covers every stuff. I love their No Deposit Commission scheme, it’s really handy and saves a lot of money, especially for bigger investors.